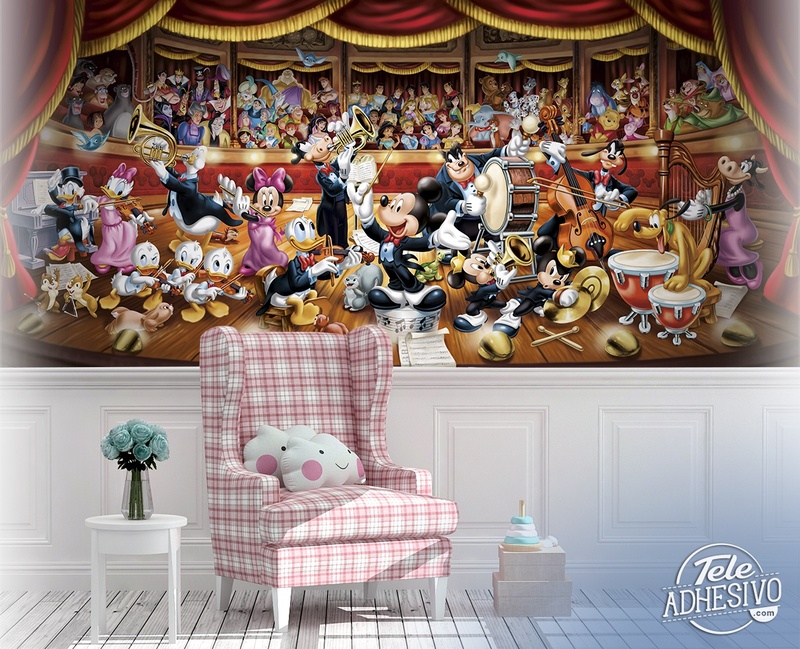 Wall mural Disney Orchestra. 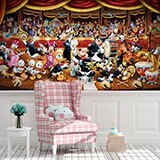 Spectacular scene of a classic theater where Disney characters play on the stage of a theater. 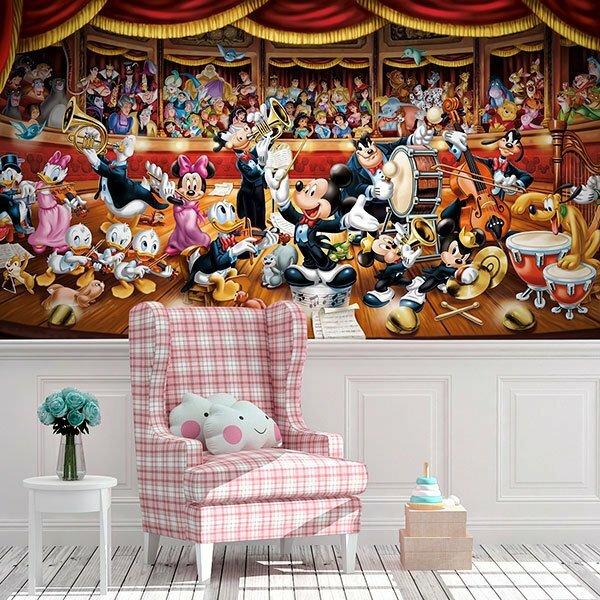 Mickey conducts the orchestra where goofy instruments, Donald Duck and his nephews, Daisy, Gilito or Plutto play in front of a grandstand full of famous people.